One of the most widely sought after image searches is “botox before and after”. Rightly so! If we believe everything we see in the gossip columns, there are some horror stories out there. My aim is to rejuvenate and beautify and I have had heart-warming feedback from my loyal patient base. I focus on accentuating the positive, gently softening the negative and keeping you looking the best version of yourself. I think it is vital that people see your work rather than manufactured images. 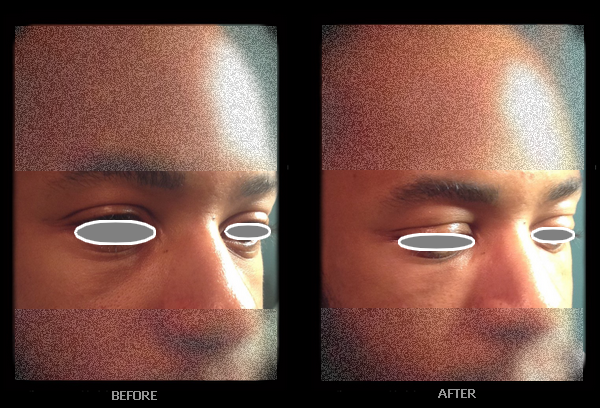 Here are some before and after photos to give you an example of my work on different face types, ages and areas. I hope these will put your mind at rest -you’re in safe hands with me. Lower face support, chin enhancement and lip correction. 33-year old female. 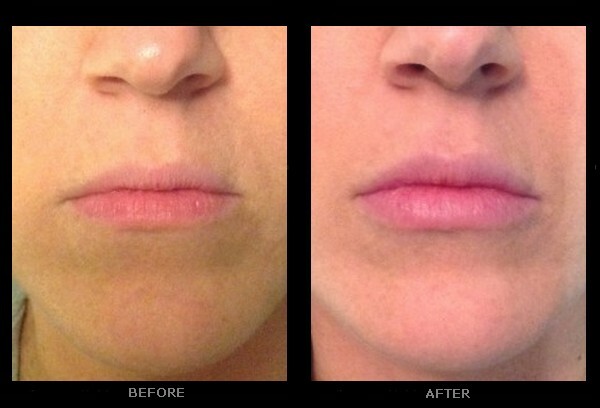 2ml Juvederm Voluma to enhance chin for better support and improved nose-lip-chin ratio, for beautification. 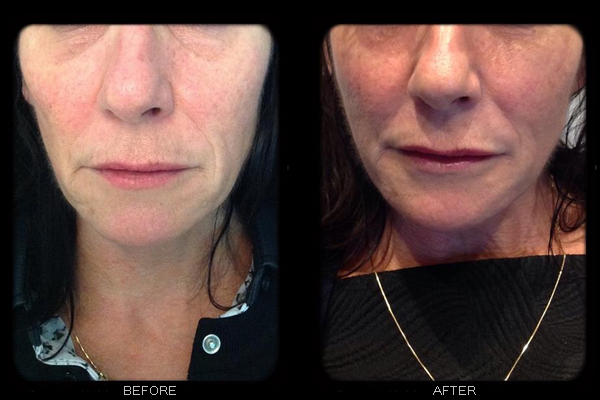 1ml Voluma to support “sag” at marionette areas and pre-jowl sulcus and sharpen jawline. 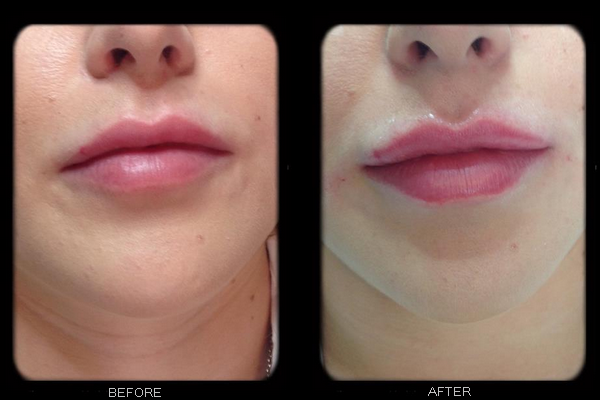 0.55ml Juvederm Volift to correct imbalance in lips from previous lip filler elsewhere. Mid face support and tear trough, 35 year old male. Male patient volume deficient in mid face with extension of tear trough. Cannula / 0.8ml Volift per side to reintroduce subtle mid face volume and fill concavity of tear trough. Subtle enhancement of lips, to include definition of borders, cupids bow and philtral columns as well as volume to body. 1.65ml / 3 x 0.55ml Juvederm Volift. First session 0.55ml definition, 0.55ml volume. Second session a further 0.55ml volume. 3ml Voluma to mid face and 2ml Volift to tear trough/naso-jugal groove. Young female with a small mid face and large orbital globes, resulting in a sunken appearance with hollows/shadows. 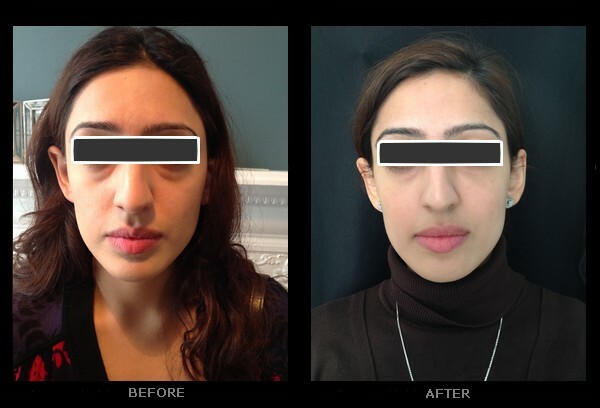 Session one: Mid face support with 2ml Voluma on lateral and medial cheek for diagonal and vertical lift. 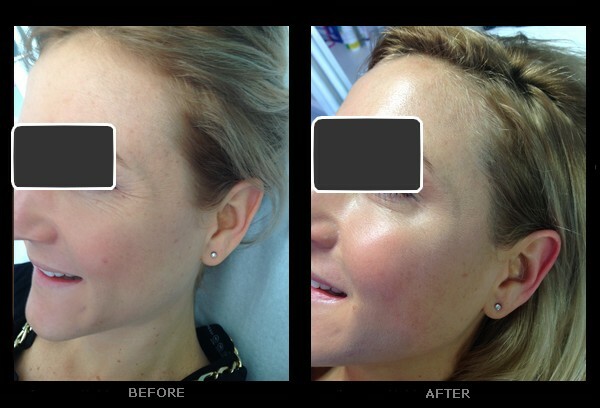 1ml Juvederm Volift, with a cannula to fill hollows of tear trough and extending groove. Session two, a four weeks: A further 1ml Voluma across the mid face and additional 1ml of Volift to orbital hollows. Botox frown and forehead, 29 year old female. 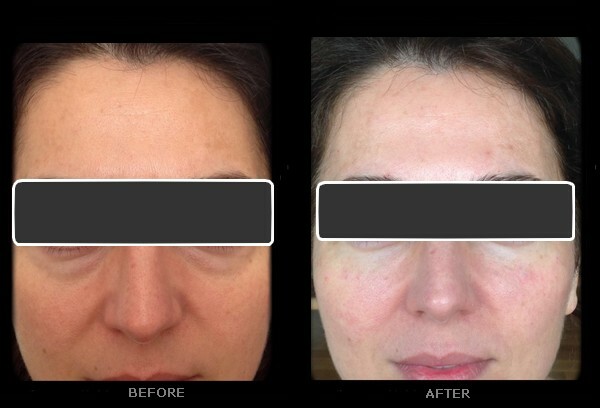 Young lady presented to lift and airbrush forehead and eyes, to soften existing lines and prevent further additional wrinkles from forming. Natural but effective result desired. Botox eyes, 29 year old female. The after photos are at two weeks. Cheeks and tear trough, 54 year old female. 3ml Juvederm Voluma and 2ml Juvederm Volift/. Patient presented as felt she consistently looked tired. Treated to lift and resupport the mid face, then polish and smooth out the orbital hollows / tear torughs. 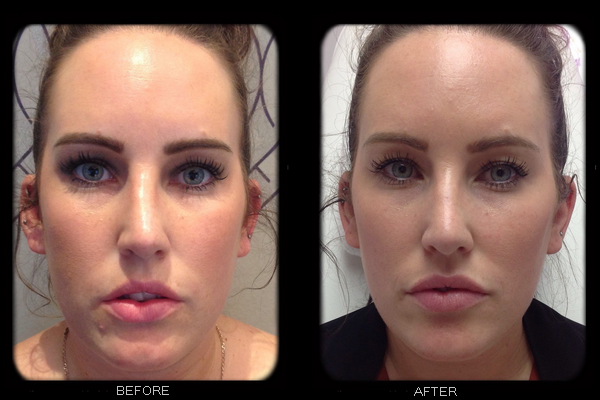 First session: 3ml Voluma across the mid face/cheeks and 1ml Juvederm Volift to tear troughs. Second session: Additional 1ml Voift to further soften tear troughs and illuminate eye area. 58 year old female and avid runner. She Was beginning to look a little hollow in the face, with general “sag” as a concern. I reinstated deep support to lift the volume in the mid face, and supported the soft tissue descent in the lower face. It lightens and brightens the face as a whole, softening the orbital hollows and giving a “happier” appearance. 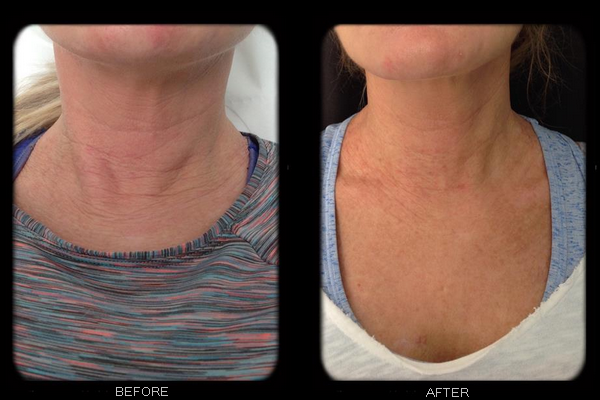 50 year old, female patient had developed pronounced elasticity through sun damage on the delicate skin of the neck, which belied her youthful face. I used 3 x 2ml syringes of Profhilo, over three sessions, one month apart. The lines were significantly softened and skin quality and texture visibly improved. 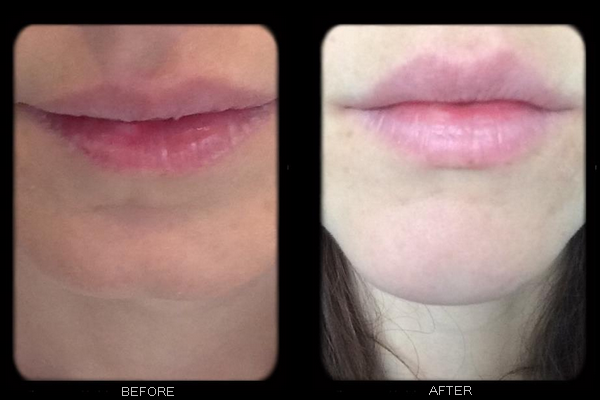 24 year old female patient with beautiful lips to begin with but wanted a little more va-va-voom – definition and plumping. I used 0.55ml Juvederm Volift, firstly with a cannula to instate volume in the deep fat plane of the lip, and then needle to give sharper definition. 35 year old female patient who needed balancing in the lower third of the face, support and beautification with correction of chin cleft. 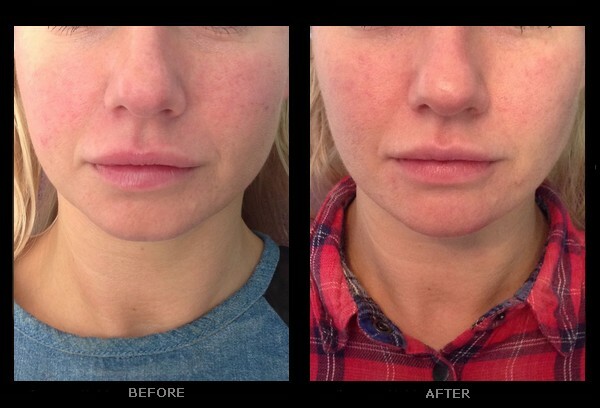 I used Two syringes /2ml of Juvederm Voluma and 0.55ml Juvederm Volift to achieve a more symmetrical look. Filler to the temples to ease the flow of upper to mid face. Accentuation of the cheek bones for more feminine contours. Projection and elongation in the chin to support the lower lip and balance the face. Finally a little volume and definition in the upper lip for a sexier finish. 2 X Juvederm Voluma to temples. 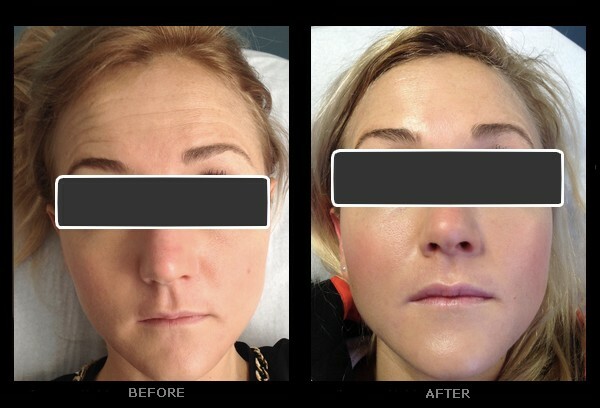 2 x Juvederm Voluma to contours, 2 X Juvederm Voluma to chin and 0.55ml Juvederm Volift to upper lip.